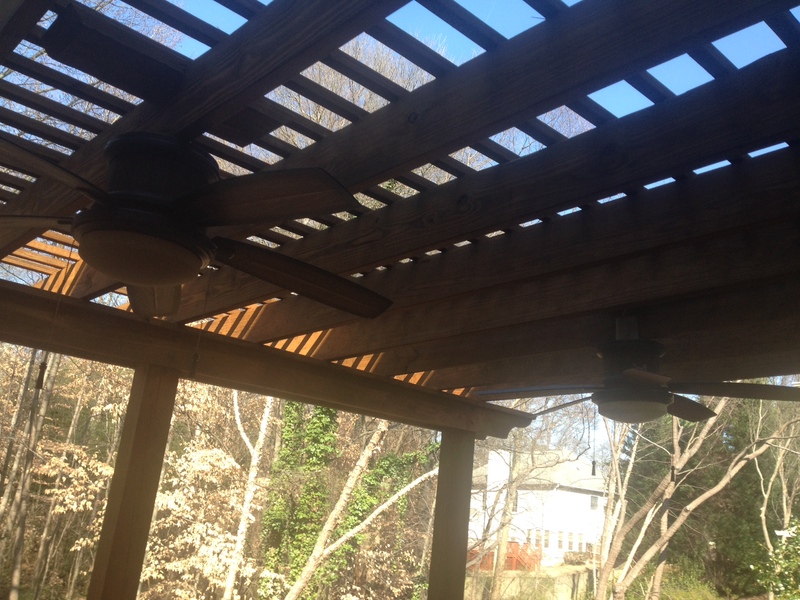 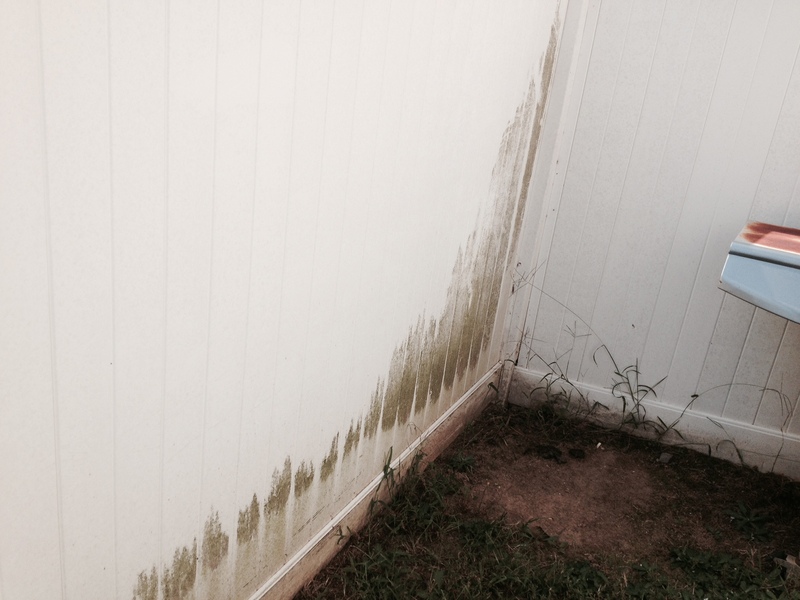 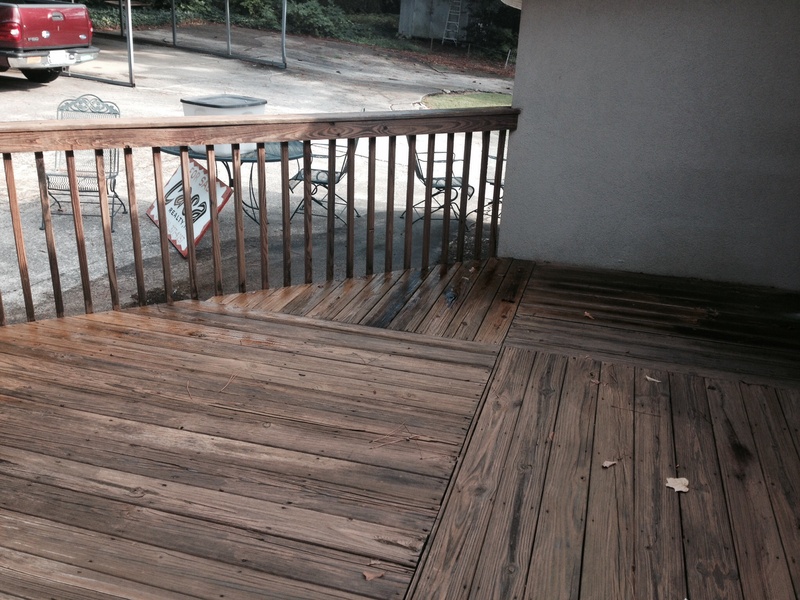 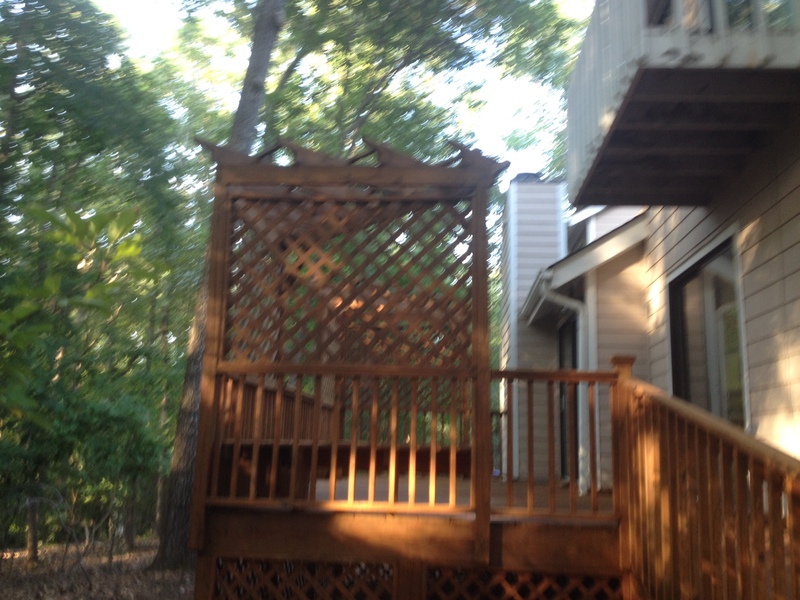 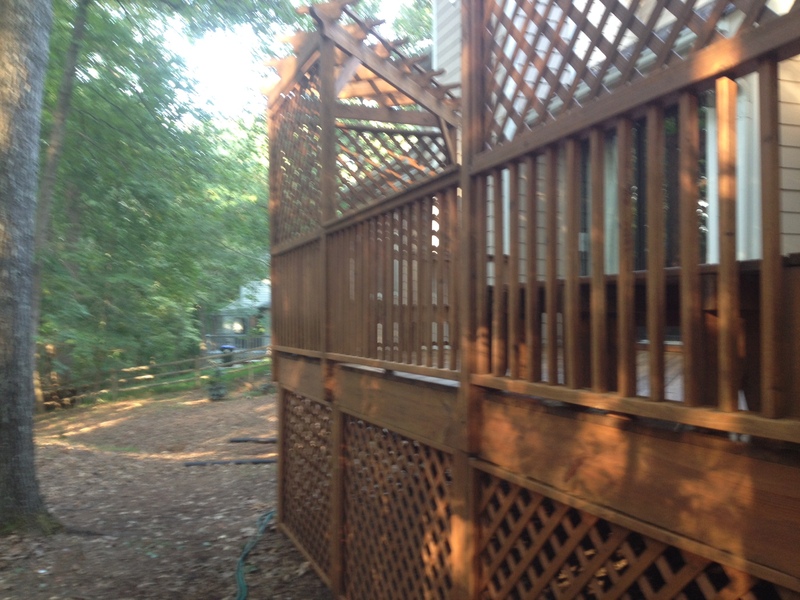 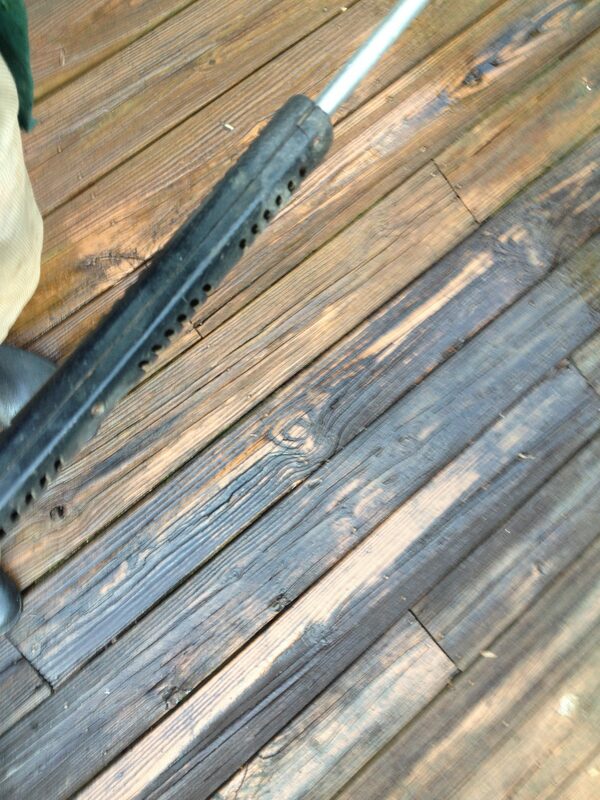 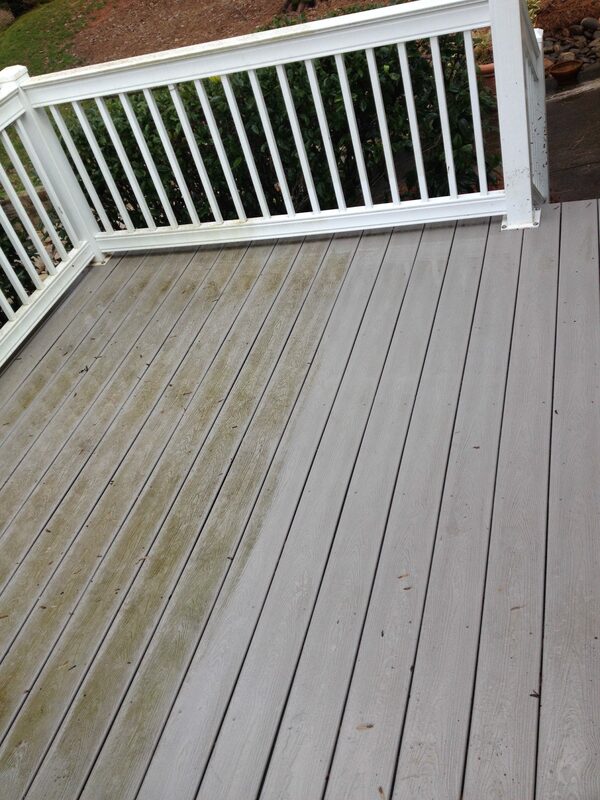 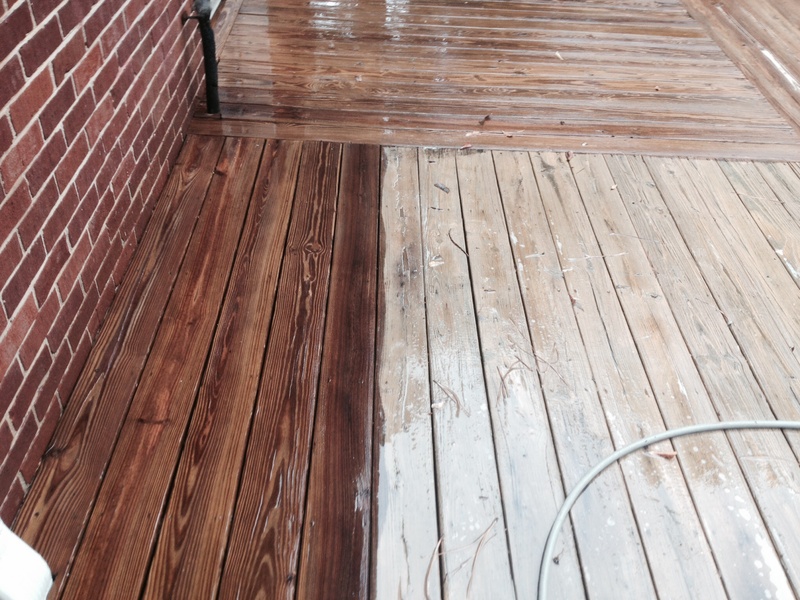 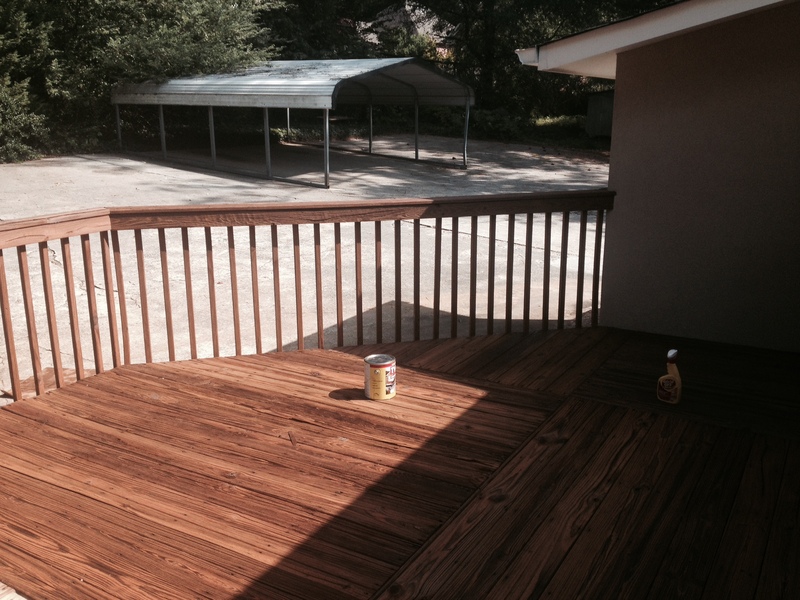 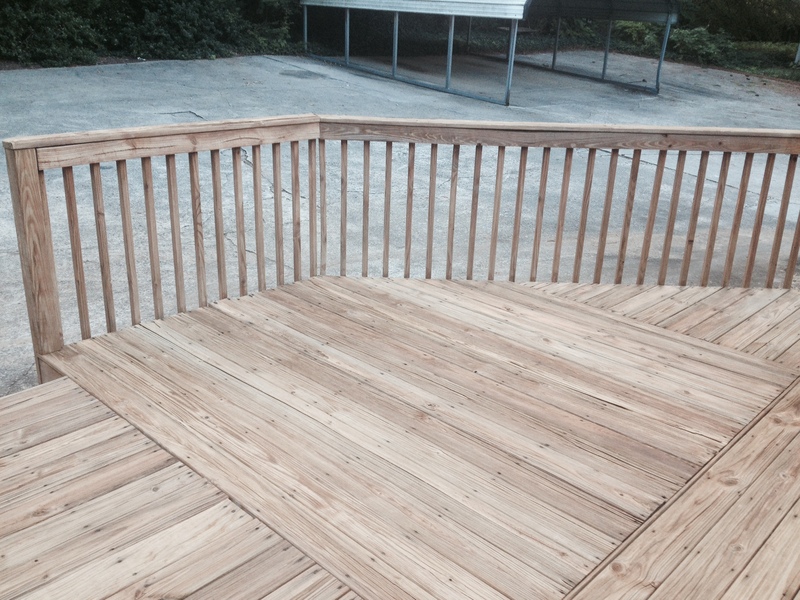 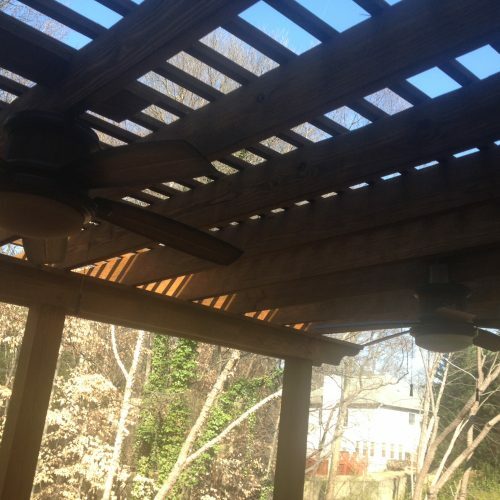 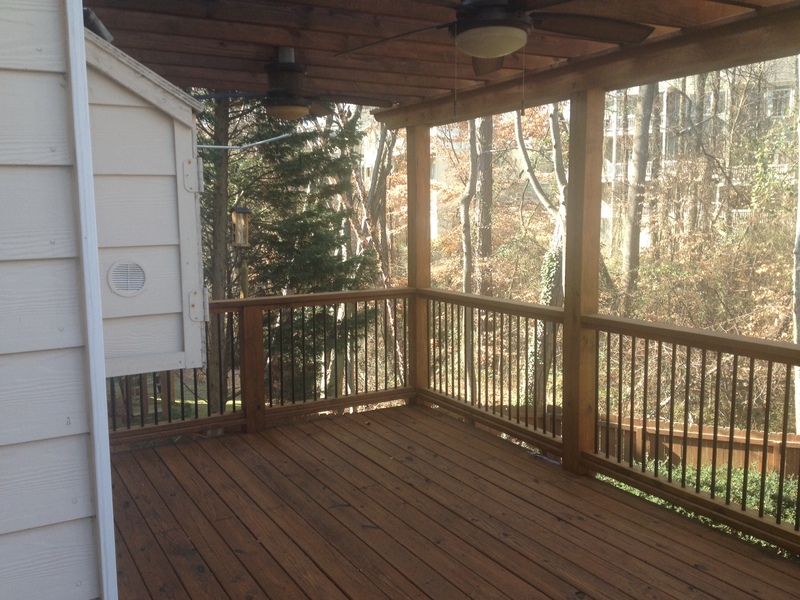 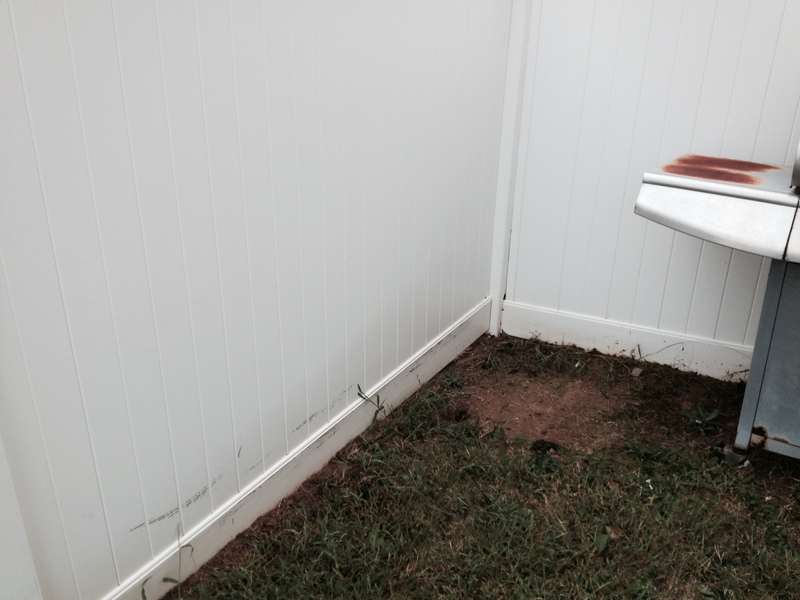 53A72E59-9CD9-45BA-9F94-87CAC4CA1717 I clean and brighten your old,discolored deck,fence,or cabin.First I apply the wood cleaner then I carefully rinse it off.After I wash it I apply wood brightener.The wood will start graying back in about 6 weeks or so. 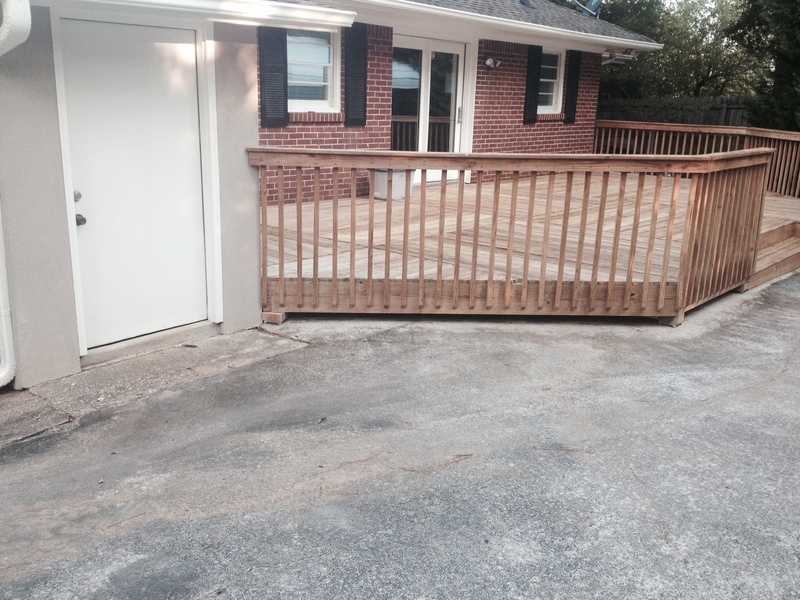 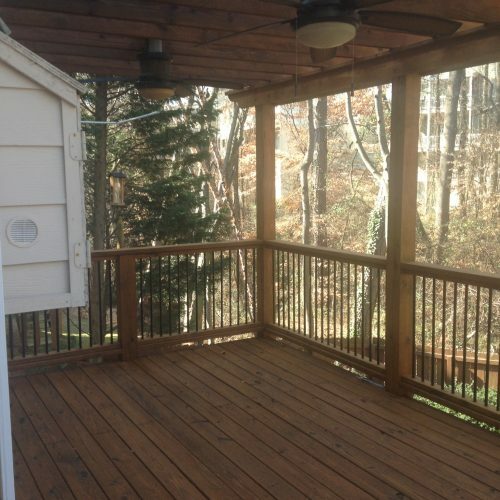 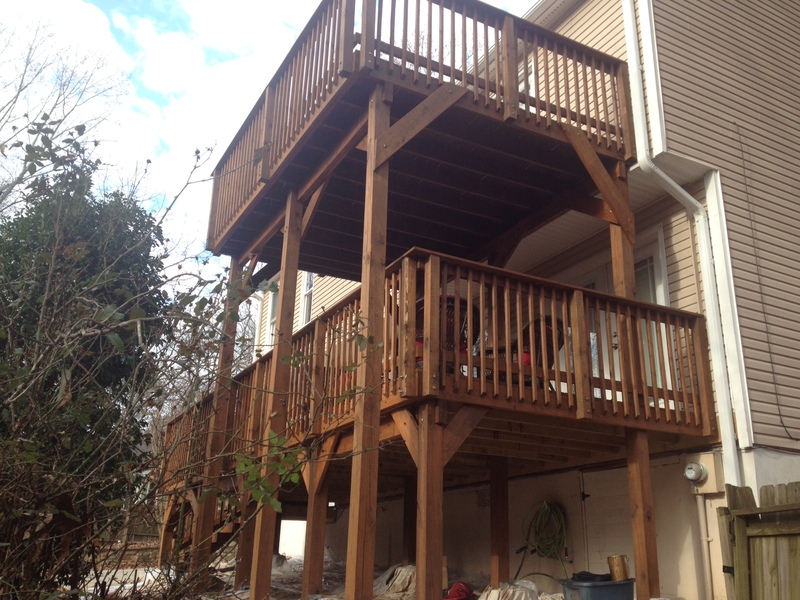 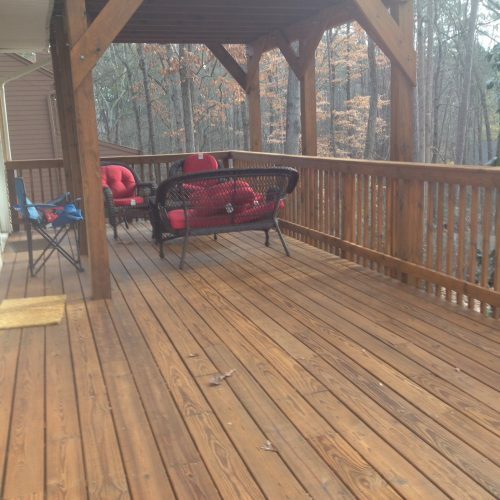 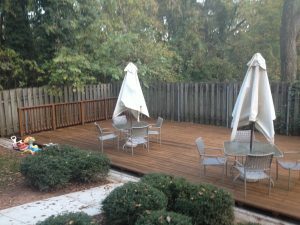 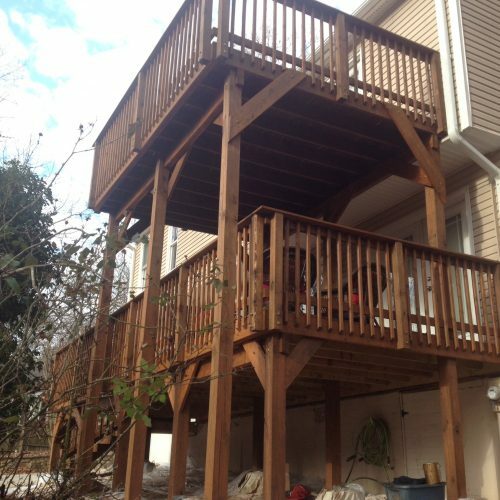 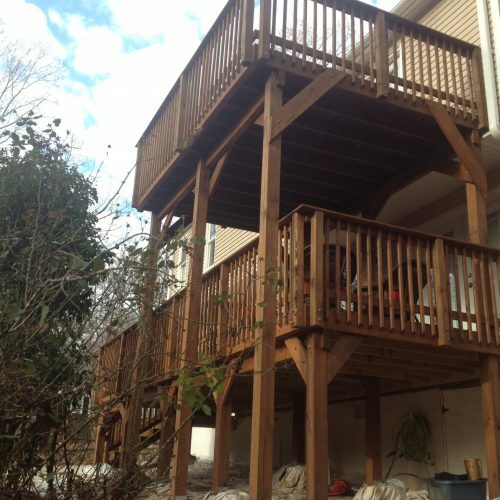 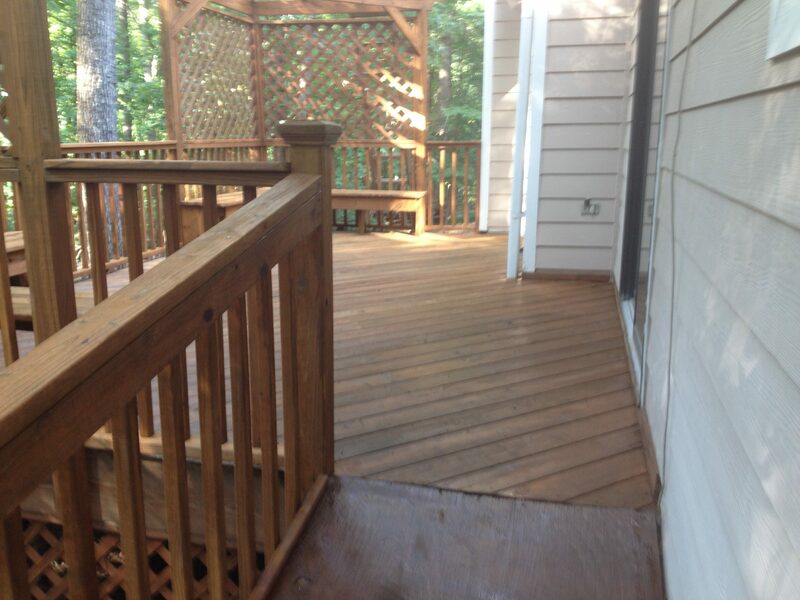 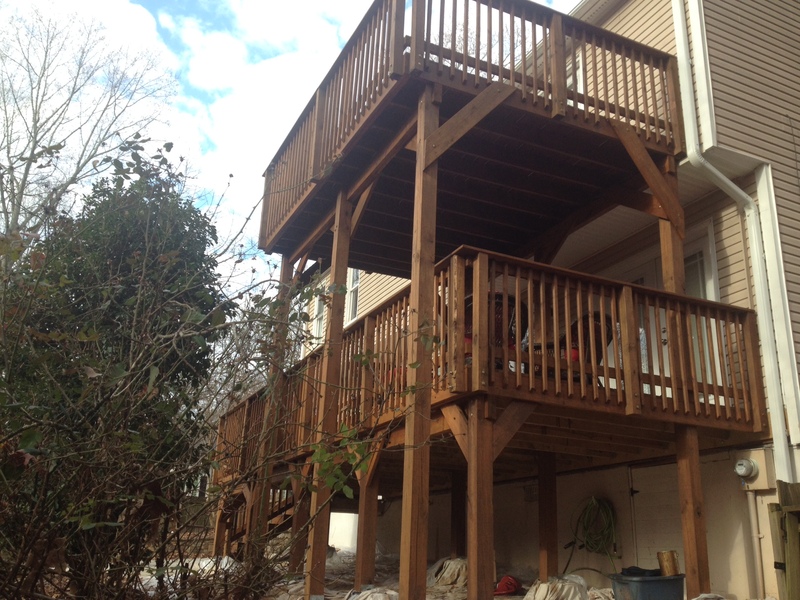 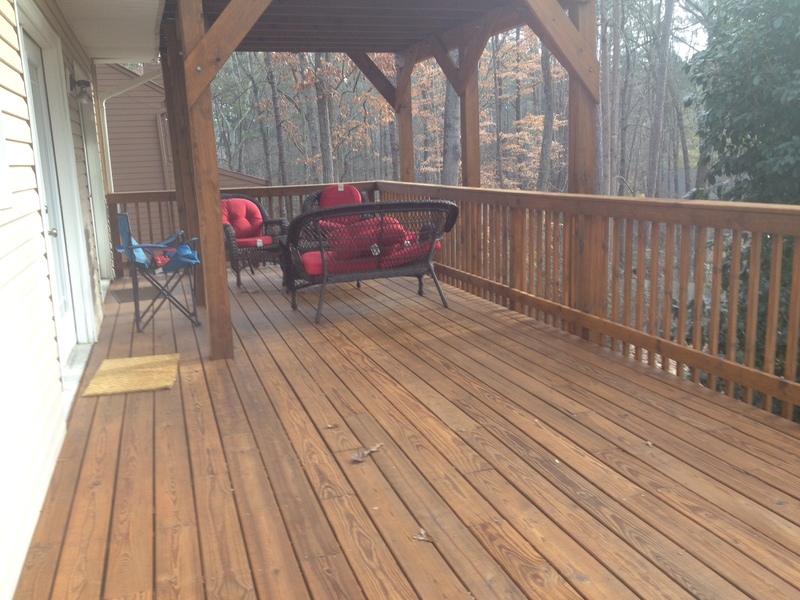 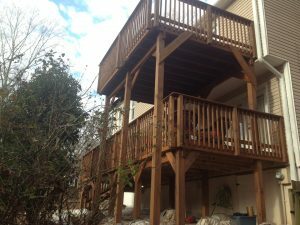 I also stain and seal decks,fences,and cabins.After washing and brightening I apply a strong semi transparent stain called twp 200 series.This is the best natural stain for old decks.It looks dark when applied then after 2 weeks it looks lighter because the sun bakes it into the wood.The flooring or horizontal areas of your deck will last 2 years then start to fade,the vertical or the posts will last 5 years then begin to fade,but the deck will still look good.The stain is strong because it is made for cedar shingles. 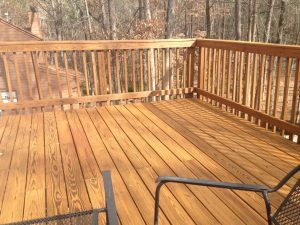 For new decks I recommend waiting about a year for the wood to dry a little,then adding a thinner semi transparent stain or a solid color stain. 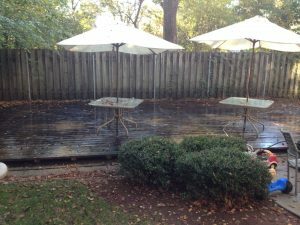 As far as price I will give the estimate for labor and a estimate for the supplies.The stain is $34 dollars per gallon.